April is Distracted Driving Awareness Month, with the emphasis of the bulk of the campaign from April 4th to April 13th. In the campaign’s effort to recognize the dangers and reduce the number of preventable deaths, it is important to understand your part in preventing distracted driving. To better understand the scope of distracted driving, it is important to understand what it is, the effect it has on our community, and the possible solutions to end its reign of terror on our roadways. Driving distracted can include a lot of things and may be hard to differentiate what is and what is not distracted driving. According to the National Highway Traffic Safety Administration (NHTSA), distracted driving is any activity that diverts attention from driving. Activities often associated with distracted driving include talking or texting, eating and drinking, talking to fellow people in the car, adjusting the stereo, or adjusting climate controls. “Other distractions, such as applying makeup and eating are not illegal, but if they cause dangerous actions such as swerving or leaving your lane, you could get a ticket for reckless driving,” note the San Jose car accident lawyers at Henshaw & Henry, PC. Anything that takes away from a driver’s attention to safe driving is considered distracted driving. The National Safety Council (NSC) claims at least nine Americans die and 100 are injured in distracted driving crashes every day. The NHTSA claims 3,450 lives were taken in 2016 alone due to distracted driving. In 2015, 391,000 people were injured by distracted driving. Texas, California, and Florida hold the top three spots as the states with the highest number of fatal crashes caused by cell phones, according to Expert Market. Selecting the Do Not Disturb setting or putting the volume on mute on your phone may not keep temptations at bay. Consider turning your phone off, putting it on Airplane Mode, or placing it in your backseat or trunk so it is completely inaccessible. If you need your phone for music or navigational purposes, consider mounting it to the dashboard to make it more difficult, thus, less tempting to use. There are many apps to prevent texting and driving! Conduct research (when you’re not driving, of course) to find which one may be best for you. If you have passengers in your car and desperately need to send a text, employ your fellow car passengers to do it for you! There is no reason why your eyes should be anywhere but on the road while driving. Pledging to not text and drive can be a great reminder of why you shouldn’t engage in texting while operating a vehicle. A wristband, note to self, or drawing on your hands can be a physical reminder of what not to do. Doing so can also be a conversation starter and help spread the message to #JustDrive! 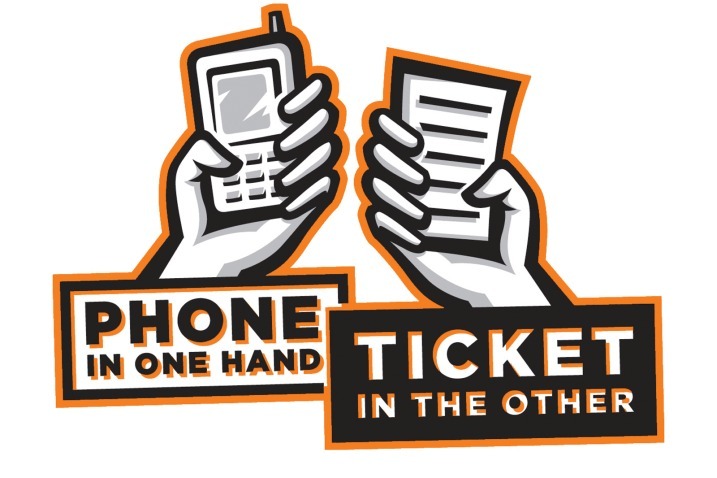 While Distracted Driving Awareness Month is only in April, you have the option to stop distracted driving year round. Distracting driving is 100% preventable, as are the deaths it causes. Take a stand now to stop texting and driving and keep roadways safe for all drivers, cyclists, and pedestrians that are affected by this epidemic.